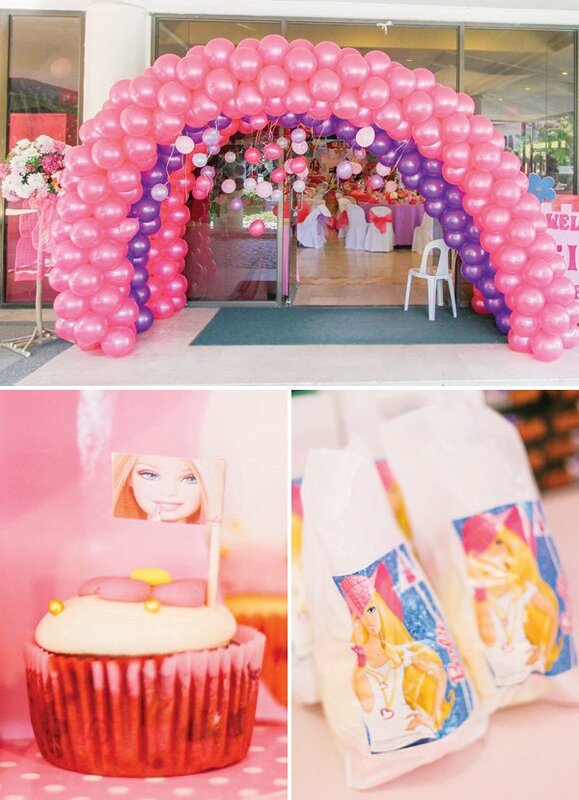 If you’re a Barbie girl, you’re going to absolutely LOVE this Barbie world! 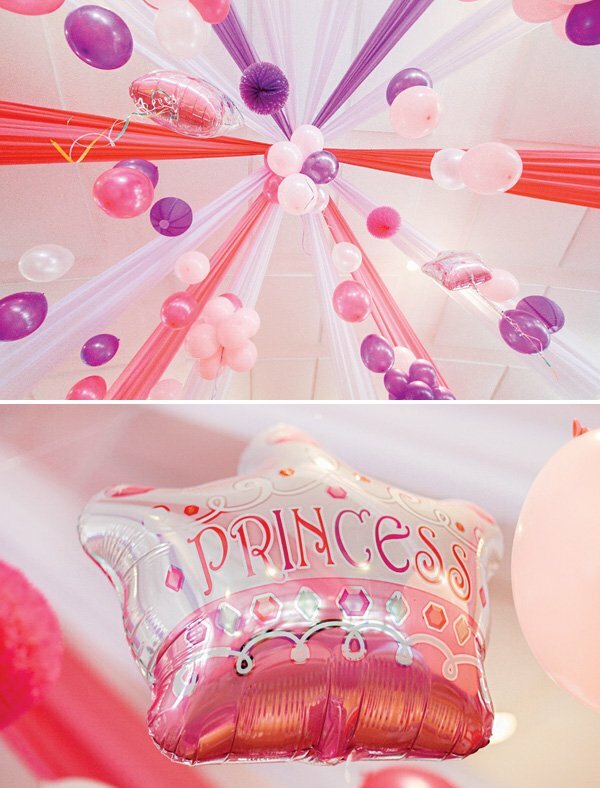 Jane Alison planned this extremely girly-girl Pink Royal Barbie Princess First Birthday Party for her adorable little girl. 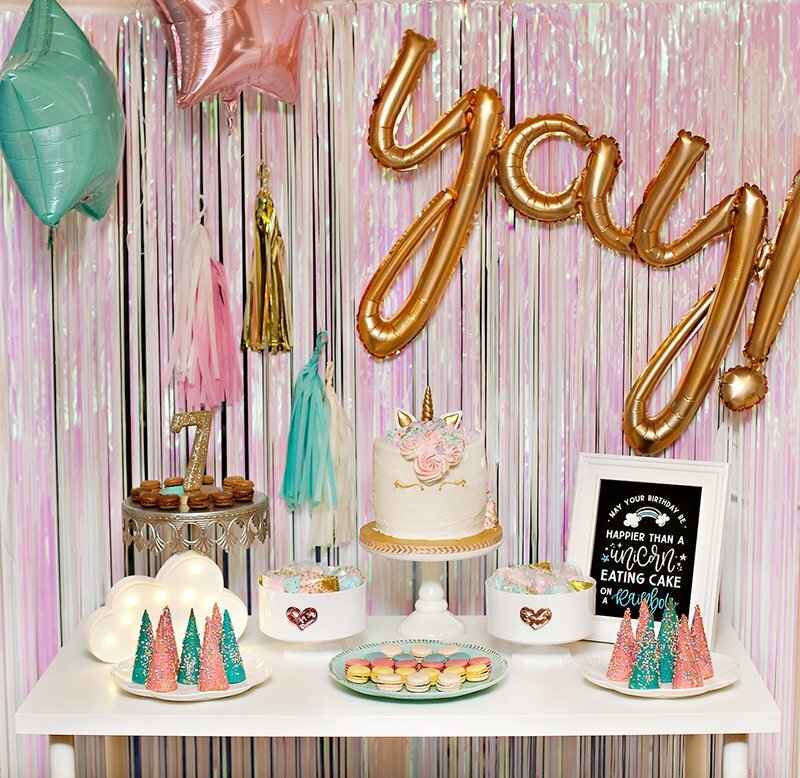 I am absolutely loving the homemade pink Barbie doll box photo booth — such a creative and cute idea! 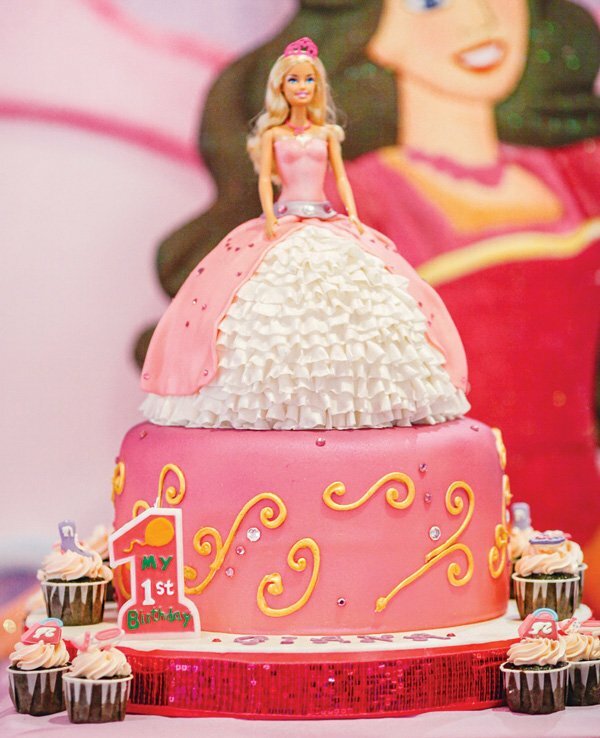 For other Barbie-inspired party ideas, check out these parties: here, here and here. 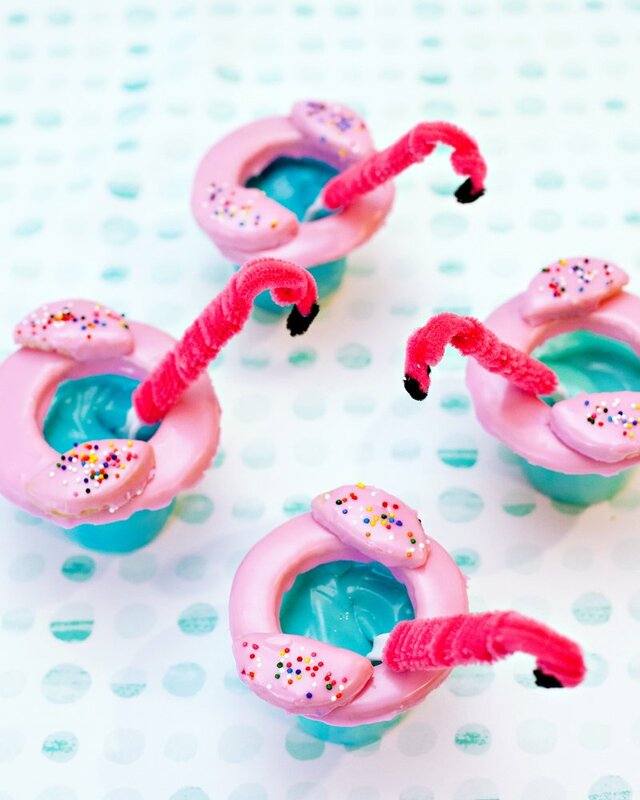 PARTY DETAILS as told by Jane…. 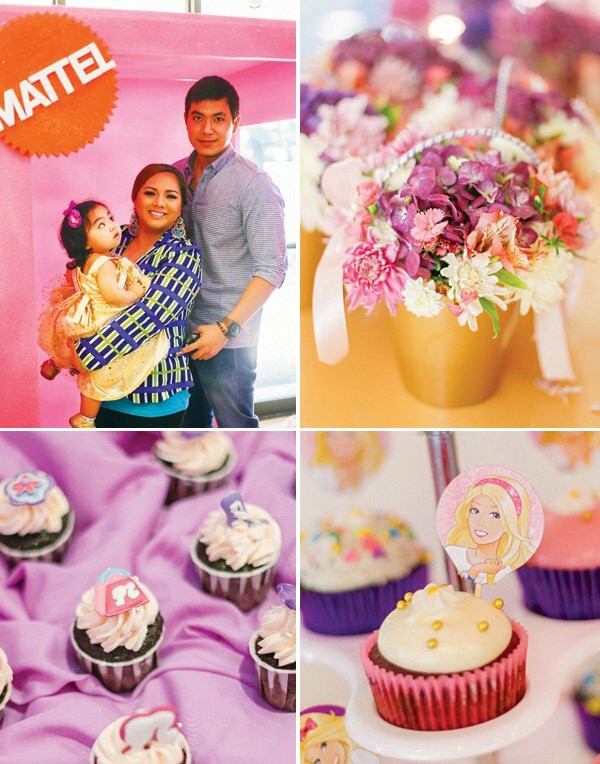 I wanted a princess party for my only daughter Giana and since I am a Barbie fan, it became a princess-Barbie themed party. First I decided on the colors: white, dark pink, light pink and any shade of violet. The poster of Barbie & the diamond castle also inspired the colors. 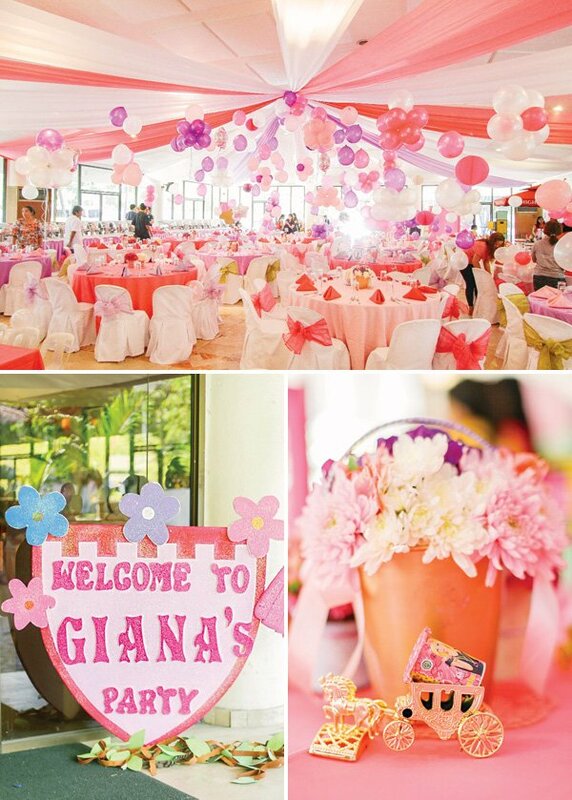 I told my event organizer to follow the colors for the balloons, drapes, paper pompoms, table covers etc. 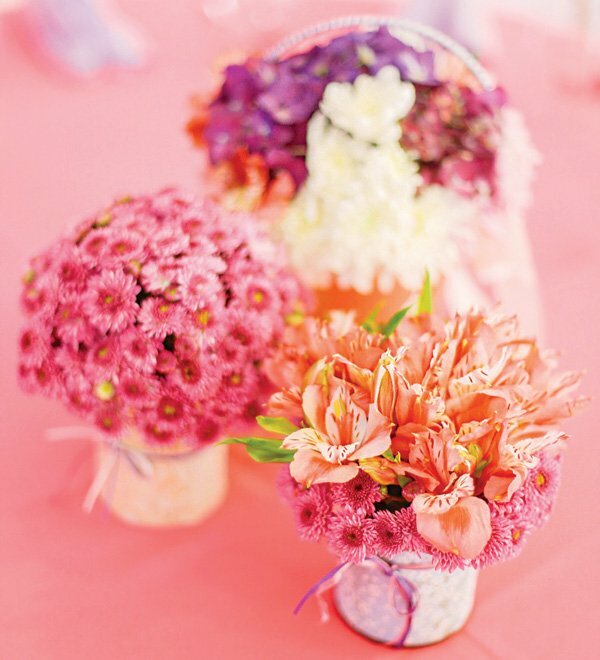 I didn’t choose balloons for the centerpieces because I thought the flowers would be more feminine. I bought gold carriages and tiaras to complete the centerpieces. I also put chocolate biscuit sticks on the carriages for the little princesses. Chocolates, coloring materials and tiaras were scattered on the kids’ tables to keep them busy. Mini salons were also present to prettify our guests. 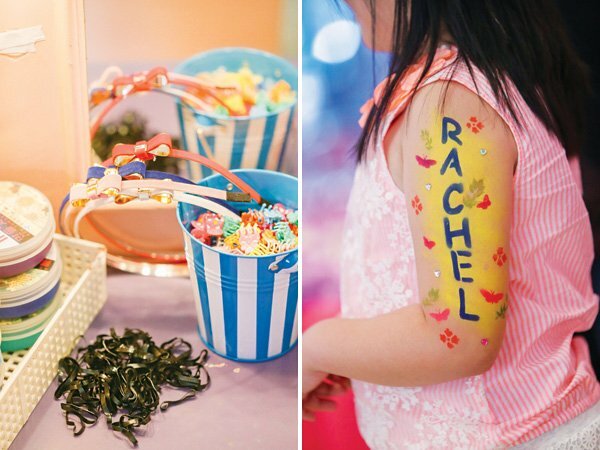 For the adventurous, face paint and body colored sprays were also available. The piñata used in the party was made from scratch; my best friends saved a lot of tissue rolls, around 40, to complete their pick a prize game. Every kid had the chance to pick a prize from the piñata. Some of the prizes were Barbie dolls, Barbie chocolates, Barbie accessories, etc; there were also toys for the boys (Transformers, Spiderman, Ben 10). The dessert table was also made from scratch. I wanted a table with more food than display. My best friends prepared the dessert table and baked all the goodies. 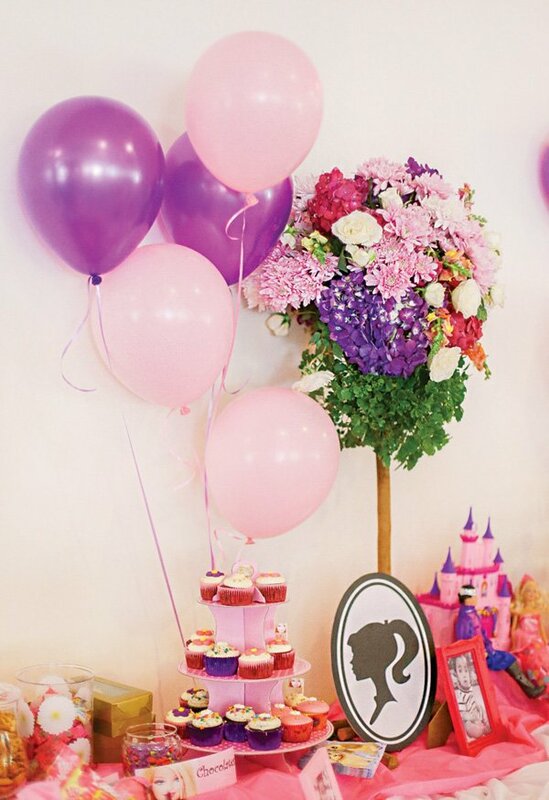 To start with the dessert table, we put the balloons and flowers. We used some of my baby’s toys for the displays (Barbie dolls, carousel, castle). We bought picture frames and put my baby’s pictures to make it more personal. Some of the toppers were bought while some were printed at home. 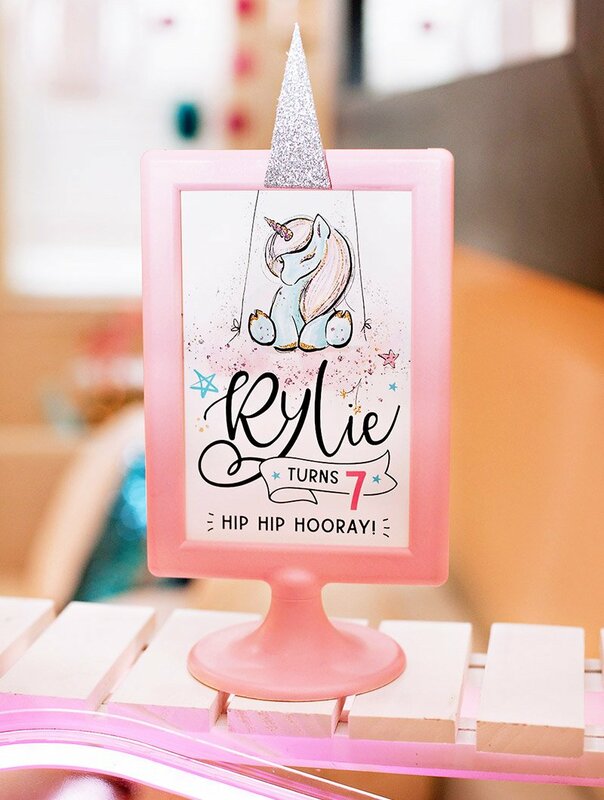 I also made the Barbie food labels. There were more than 10 kinds of desserts including fruit skewers for the health conscious; we also had gourmet, the honey and cheese board. 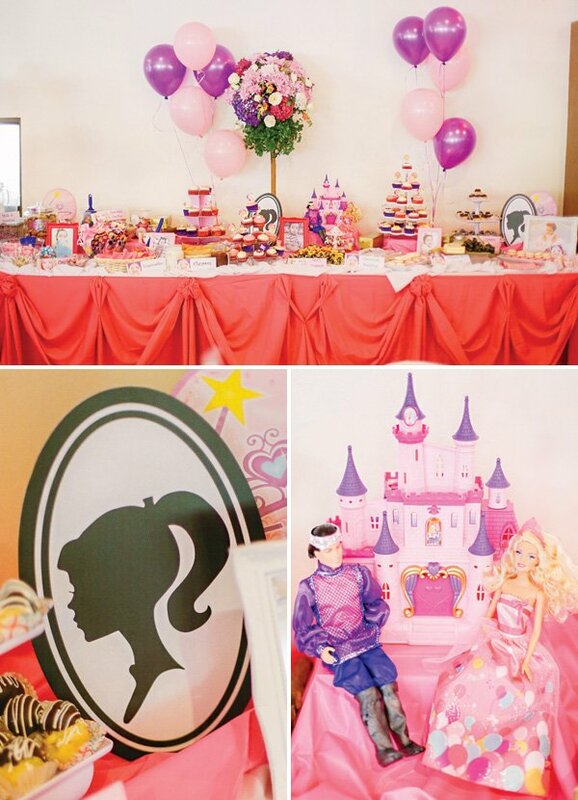 French macarons, cookies, cream puffs, chocolate truffles, cupcakes, empanaditas, churros, pudding, candies were also served. 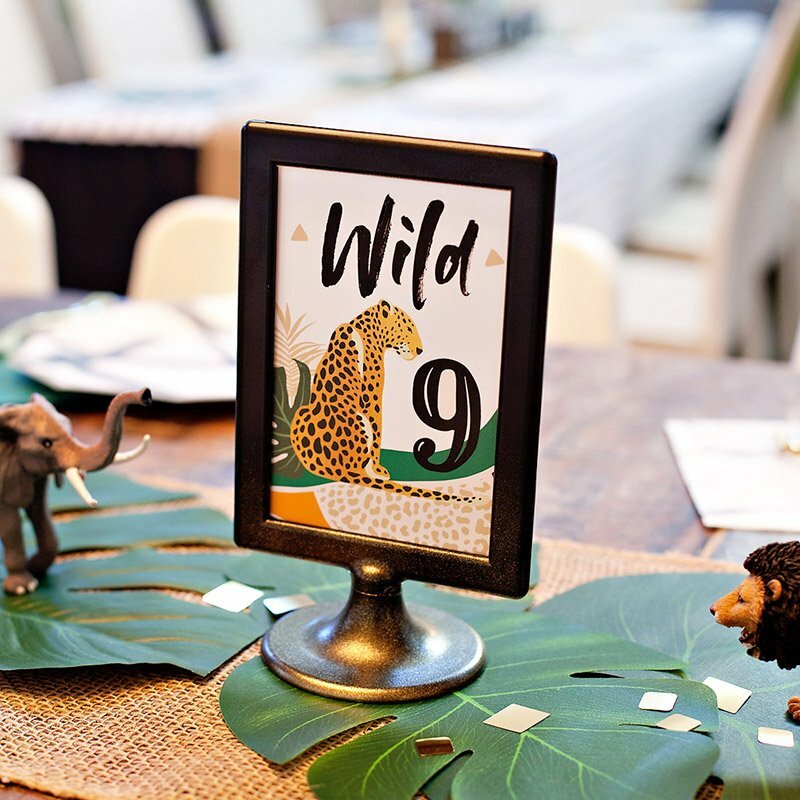 It was truly a great experience preparing for the dessert table. All of us enjoyed the grocery shopping, too. Instead of putting a lot of pictures at the venue, we rented a digital frame. 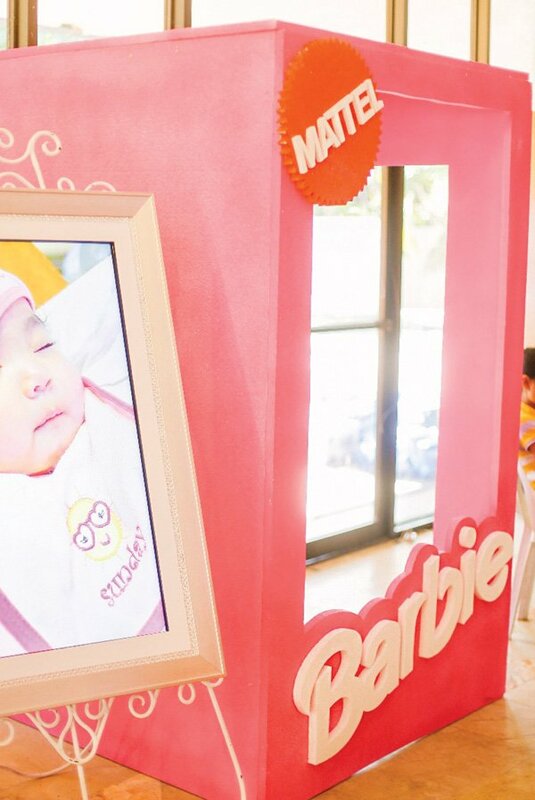 So while lining up for the photo booth and Barbie box, the guests would have the chance to watch the slideshow. Oh yes, we had a Barbie box customized. We provided a blonde wig, too! For the loot bags, we mixed candies and chocolates. We chose white castle and royal castle brands for the cookies since it was a princess party after all. Other take aways included pen containers, key chains and hair clips. 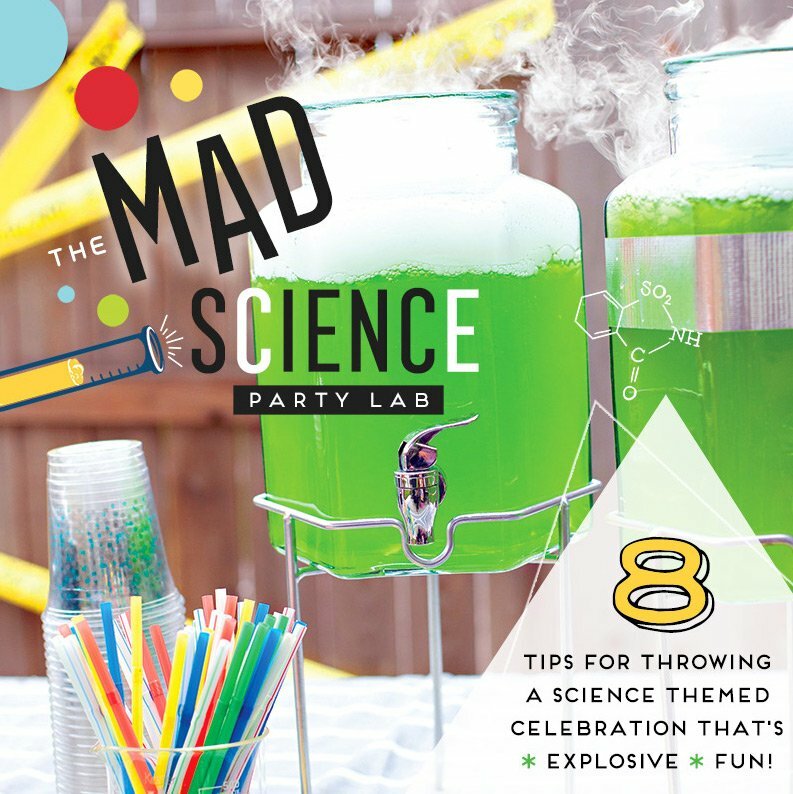 Event Set-up, Balloons, Food Carts, Activities & Video: PartyRific!